We are proud to have received this award from a sister Dark Angels site: 'The Fortress Unforgiven'. I wish to congratulate you on your site. 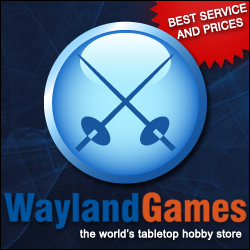 Your web site has been one of the few sites chosen for one of many reasons, but mostly because it adds to the 40K hobby in significant quality. Your site has been deemed to be of high quality and as such awarded the Honorium Angelicus Award. We thank the Shadow Guard for this award.